Learn about birdies, eagles and albatrosses at Touche. And no, we’re not talking about birds. We’re talking about getting your golf game on. Started back in 2009 to make golf more accessible to people who aren’t members of swish golf clubs, Touché Golf School is your go-to place to learn the sport. 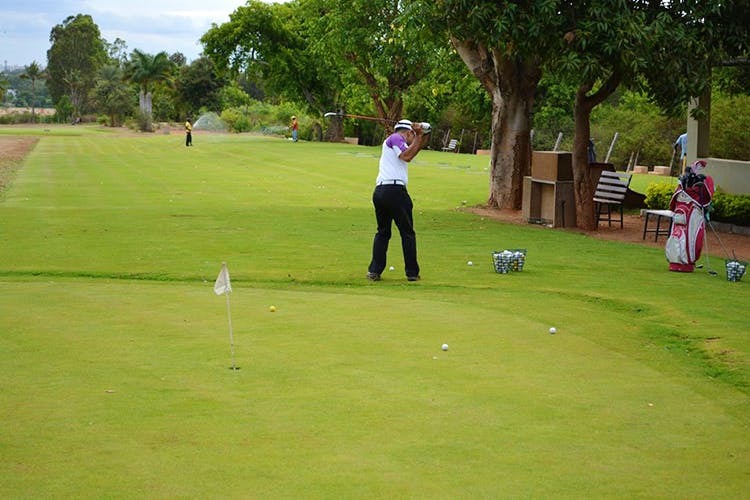 Located on the outskirts of the city, just past the Jakkur Post, the 26-acre facility is great for beginners and it’s even got a six-hole course for those who already know how to play but don’t have access to other greens. What’s really great about this golf school is that they have batches for kids and adults alike. So no need to feel odd if you’re not quite young but still want to take up this sport. Taught by pros, led by school director and pro-golfer, Bamby Randhawa, there’s lots of theory involved so you have a solid base. Not only will you perfect you swing, but since they take golfing seriously, there’s also a nutritionist, fitness trainer and sports psychologist to help you on your way to becoming the next Tiger Woods — minus the notoriety.